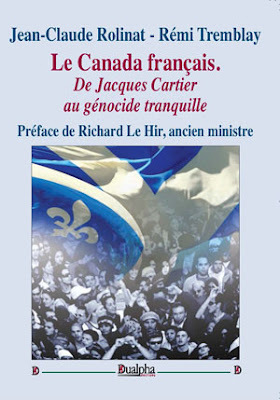 The recent trip of the Front National (FN) leader to Quebec has been very instructive in many regards. We may agree or not with every stance of Marine Le Pen (MLP). We may agree or disagree with how she transformed the Front National. Whatever we may think of her and the party she leads, it is important to keep in mind that Marine Le Pen is indeed a nationalist and she is currently the most popular politician in France and could very well be the first woman to become a French president, something I am sure Justin Trudeau would approve! The fact that her party does not oppose diversity per se even though it does oppose immigration explains why many on the Alternative Right have refused to endorse her. Even if this criticism is indeed true, it does not forbid us from supporting this candidate who after all is the only candidate in France opposed to immigration and globalization. Before talking of remigration (the process of returning or migrating back to the place of origin), a term popularized in France by Laurent Ozon, immigration must first be stopped and this is exactly what Marine Le Pen has pledged to do. Marine Le Pen decided to come to the Belle Province on March 18th. The objective of this trip was triple: meeting French citizens living in Quebec, talking with federal politicians who had asked to meet with her and, finally, getting some public exposure in Canada. According to the French media, this trip turned out to be a "nightmare" and a "failure." But was is really? First, Marine did meet French supporters as well as local fans in Montreal. More than a hundred people showed up at a private event to meet her and to discuss issues of mutual interest with her. How many foreign politicians can claim to have gathered a hundred normal citizens on a week night without any prior publicity except that of private invitations? Yes, a dozen anti-racist activists protested outside, but are we really surprised? And why would these twelve or so far-left activists be more representative of Quebec public opinion than the hundred people attending the private event? The second objective was a failure. After a few rank and file members of the Parti Québécois (PQ) met the leader of the FN, the establishment of the PQ went public to denounce the meeting and to denounce the FN. Every single political party, except the far left Quebec Solidaire, had announced that it would refuse to meet Marine Le Pen. This is not very surprising considering that these parties share the same naive vision of immigration, diversity, globalization, etc. In a political landscape where all the political parties propose the same thing, it is obvious that they will turn their backs on someone actually offering an alternative. Quebec's political parties have refused for years to discuss immigration openly, so why would they agree to meet with someone who refuses to go along with that taboo? So with all these denunciations, the politicians who had asked to meet anonymously with the French guest backtracked and decided to cancel. Unlike French journalists who have presented this as a personal failure for MLP, this sad episode must be seen as further proof of the power of political correctness in Canada. So if the first objective was a success, but the second a failure, what about the most important one; presenting her ideas to Quebec's population and gaining public sympathy? This has been an overwhelming success. First, Le Pen is a star in Quebec. There are more people who know Marine than there are people who could name the French president. It is François Hollande by the way if anyone wonders. Just to continue with that comparison, the visit of the socialist president in November 2014 was a non-event. The media did mention it, but it never had half the media exposure of MLP's trip. Marine was interviewed by all the major media outlets in Quebec and being the experienced politician that she is, she managed not only to survive, but also to score quite a few goals, especially in regards to immigration and the Syrian migrants. During a few days, she made the front page of the different newspapers of the province and also appeared on every major TV channel. So how can French journalists talk of a "failure" then? It is simple. This huge difference between the perception of Quebecers and the French can be explained by their gross incompetency and their tendency to adapt reality to their political agenda. Before I continue, I am far from being the only one pointing out the negative coverage of the French press as opposed to the rather positive coverage in Quebec. Sophie Durocher has done so in Le Journal de Québec and even the very politically correct La Presse had to admit that there was a huge discrepancy between what the French journalists said and what really happened. Basically, there was no French journalist to cover MLP's trip to Canada. The ones who wrote about it used Canadian sources to do so. In fact, they used only one Canadian source, an edited version of a 30 minute interview carried on by Anne-Marie Dussault for Radio-Canada (French CBC). In the original interview, Dussault was very aggressive towards Le Pen, but the French politician managed to dodge the attacks and humiliate her in a way never seen before. This was done to such an extent that Radio-Canada refused to air the interview and only presented it online. In fact, this humiliation was so complete that it led to an online petition asking for Dussault to resign. It even forced Dussault to go public and defend her bad performance. 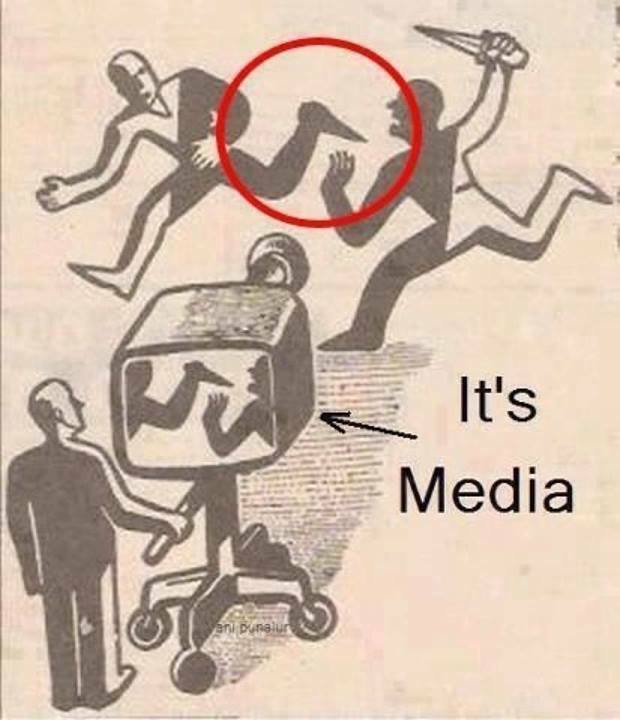 But, in France, Le Petit Journal edited the interview. They removed the parts where Dussault was mute and embarrassed and could not answer to Madame Le Pen. They removed the many clever replies Le Pen served to her "host." They removed most of the interview and remixed the rest in a very blunt act of disinformation. And even if the truth is available a few clicks away, the whole French media caste decided to use the falsified interview to report on Marine Le Pen's Quebec visit. Marine Le Pen managed to make immigration the key subject for several days and unlike the other "debates" on immigration, Quebecers had the opportunity to hear a dissenting voice; a different opinion for once! They also noticed the aggressiveness of some interviewers and saw that the real hatred might not be among FN's supporters. They saw the French media lying openly and brazenly to their public without any remorse or second thought. Even the local papers had to report on this disinformation campaign...hopefully this whole episode will serve as an eye opener for at least a few French Canadians!